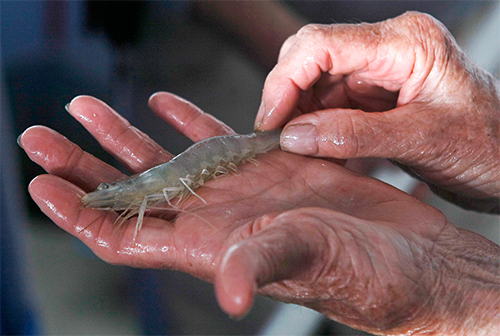 After 10 years of successful shrimp production from their Maryland-based farms, Marvesta understands the importance of infiltrating the shrimp market in other sectors of the United States. Their alliance with RDM, a family-owned business located in Indiana, has allowed for widespread expansion while preserving the business model of individualized attention to all facets of harvesting. The monitoring of water quality and feed dispense, for example, ensure the fruitful growth, health and freshness of the shrimp. Marvesta and RDM personally instruct and advise the commercial farmers throughout the entire process, maintaining their dedication to specialized attention. Unlike frozen, imported shrimp which are harvested using traditional, technologically regressive methods (e.g. environmentally incompatible), domestic-grown shrimp are guaranteed to offer the freshest, cleanest and healthiest product on a year-round basis due to their zero-exchange indoor tank system.